Arsenal are interested in signing Sao Paulo striker Antony this summer, who has been tipped for a bright future at the highest level of the game. Antony Matheus dos Santos – better known simply as Antony – has attracted attention for his performances in South America over the last year, with Sao Paulo already slapping a €30 million price tag on his head – as per Goal. Ajax had been the frontrunners in the race for the Brazilian wonderkid, sending scouts to watch him play recently, however, Arsenal are now also reportedly considering a transfer swoop for his signature, according to Goal. Gunners boss Unai Emery is already looking ahead to next season, with a number of reinforcements mooted as he aims to build a stronger squad capable of challenging for the Premier League title. Antony is only 19-years-old and still has plenty of room to develop, but given his vast potential and confidence, in the right environment, there is every chance he could progress at a rapid rate. 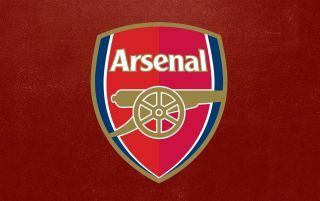 Arsenal are well known for playing an attractive brand of football, with quick passing interchanges and creativity in possession encouraged in the final third of the pitch, which is why they are a club with such a sterling reputation worldwide. At the moment Pierre-Emerick Aubameyang and Alexandre Lacazette lead the line, but Emery has very little backup support for the two centre-forwards, with Danny Welbeck set to leave Emirates Stadium at the end of the current season. The squad certainly has room for another striker to provide more competition up front and Antony would surely relish the chance to cut his teeth in the Premier League. This particular story is one to keep an eye on between now and May, with transfer speculation already starting to intensify ahead of the 2019-20 campaign.